Selling as lot 119 at the German Selection Sale is ARGH Feline. Feline is a +3.89 PTAT daughter of Car-J Brokasa Delight (Defiant x Atwood x Mac x Regancrest-PR Barbie). 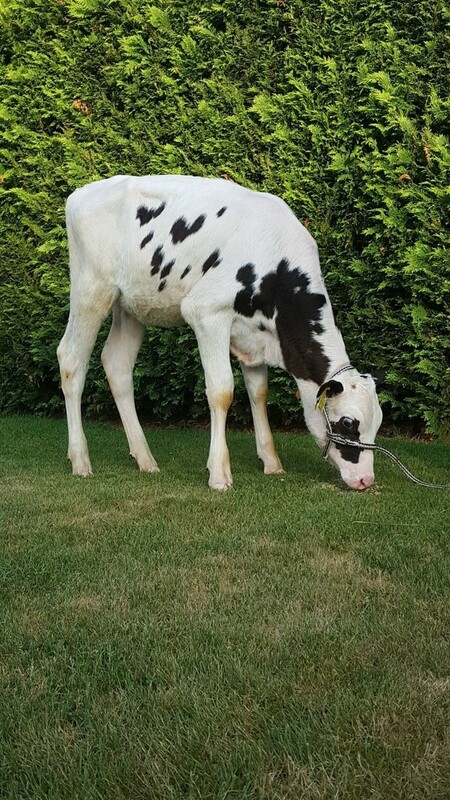 Her dam is WI Beemer Felli, an awesome Beemer out of an VG-86 Mr Hovden Delta x EX-91 Shottle x EX-94 Lad x Quality Astre Felic EX-95. 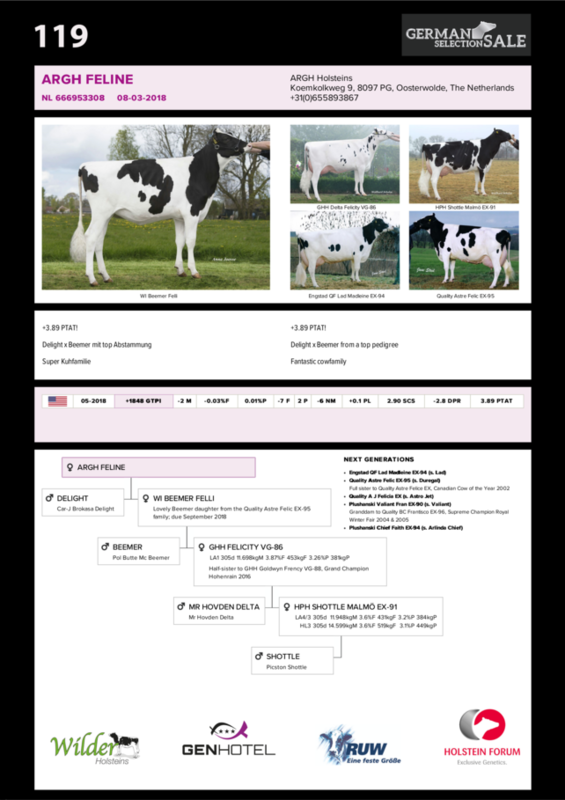 Felic is a full sister to Quality Astre Felice EX, Canadian Cow of the Year 2002, and a great-granddaughter of Plushanski Chief Faith EX-94.